Extreme Dinosaurs is a Dino Double Feature that will challenge a number of the previous perceptions of the Tyrannosaurus rex. 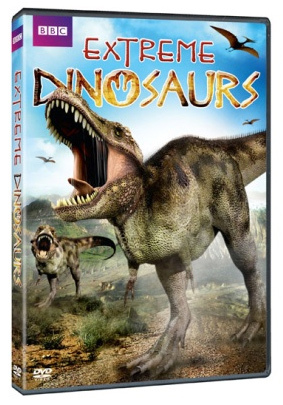 In Extreme Dinosaurs, the first on the double-bill, Paleontologist Dr. Phillip Currie believes he has found a fiercer predator than the T-Rex: a six-ton flesh-eating dinosaur, the Argentinosaurus, which hunted its prey in packs. Until recently there was little evidence to support Currie’s theories but now with the discovery of two mass dinosaur graves on his hands, he is able to gather the evidence to prove his theory to be true. In the second feature, T-Rex: Warrior or Wimp?, the T-Rex’s place as the scariest dinosaur also comes into question. The T-Rex has been known as the meanest, most bewitching dinosaur of them all – could experts have been mistaken?